Matted black and white photo of bleeding heart plant in a beautifully embossed frame. 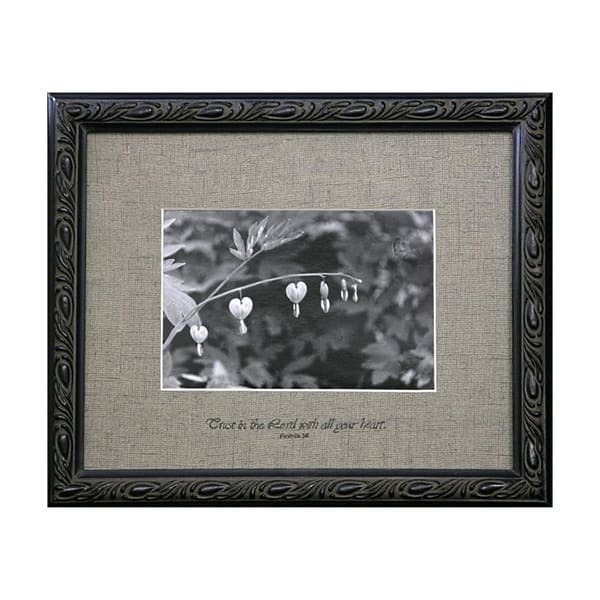 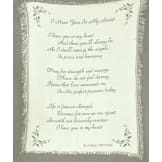 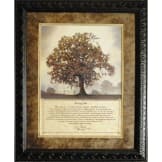 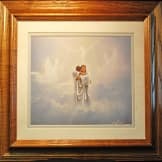 • Scripture printed on matting, "Trust in the Lord with all your heart" - Proverbs 3:5. 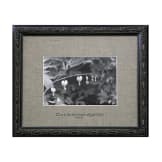 • Contemporary dark colored frame.